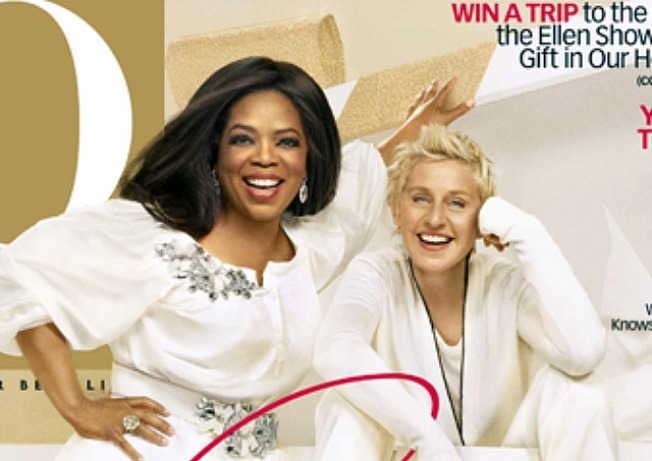 The folks at O, The Oprah Magazine ring in their 10th anniversary with the May issue. Winfrey herself has been on the cover of every issue in the magazine’s history. What did it take to get there? On the other end of the spectrum, there’s the June 2002 issue, where Winfrey and readers didn’t see eye to eye. “I love, love this hat! The editors, and apparently our readers, did not,” said Winfrey in the May issue. There’s a celebration that goes beyond the pages of the magazine in the works, too. Winfrey and many of her show regulars will be in New York City the weekend of May 7. Oprah's Web site has information on how you can be a part of it. Those who were looking forward to a spring release of “Wall Street 2: Money Never Sleeps” have to wait a few more months, as the film has been pushed back to September. But star Michael Douglas, who returns as financier Gordon Gekko, is giving some early hints as to what we’ll hear in the film. Tina Fey and Steve Carell — the comedy pairing that is long overdue — finally get their shot at box-office greatness this weekend, and they stand a good chance at coming in at No. 1. Their movie “Date Night” is the only new wide release, opening in 3,300 theaters, and the movie has a very family-friendly PG-13 rating. So the big question isL: Can “Date Night” top “Clash of the Titans,” last week’s No. 1? I choose to believe it can.